Prostate health has been receiving more and more coverage by the media, and that has resulted in a much greater awareness about the need for regular prostate exams and checkups. 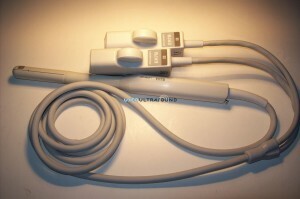 At UsedUltrasound.com, you can browse through a selection of prostate ultrasound probes and transducers for sale from all the top manufacturers, including Philips, GE, Siemens, Medison and many more. 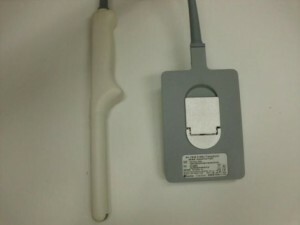 We have the biggest selection of used prostate ultrasound equipment for sale at the lowest prices you will find. When it comes to prostate health, nothing is more important than an accurate and clear ultrasound image on the first attempt. That’s why the quality and reliability of your prostate ultrasound transducer is vital, and why UsedUltrasound.com only sells quality used prostate transducers that have been professional inspected and tested to make sure they perform properly. We also have a dedicated customer service team that is ready to help you save money and time. Even if you are just comparing prostate probe prices and not looking to buy today, give us a call or fill out our simple contact form and we’ll provide the lowest current price available. And if you are searching for a used prostate probe or transducer that you cannot find it listed on our website, let us know and we’ll work hard to locate it for you at the best price. 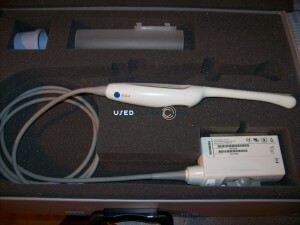 If you have damaged or broken prostate ultrasound equipment, UsedUltrasound.com can help you get it up and running for less. We have an experienced network of ultrasound technicians around the country who can quickly diagnose and repair almost any problem. We also offer ultrasound service contracts so that you can keep your equipment in peak operating condition while saving money. 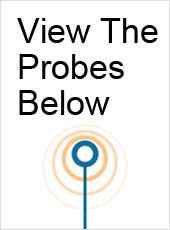 Contact us today a no obligation price quote on any used prostate ultrasound machine, probe or transducer you need.